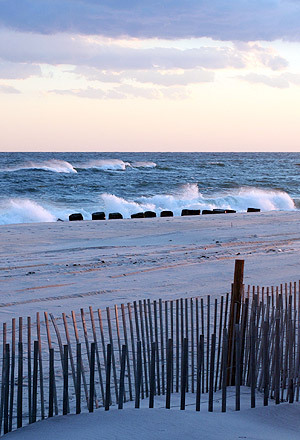 The beach is our most precious resource, and healthy dunes help protect the beach by minimizing erosion. We are involved in an annual beach clean-up in association with the Ocean Conservancy. Every year, organizations across the globe take part in their International Coastal Cleanup to remove trash and debris from the world's beaches, identify the sources of that debris, and attempt to change the behaviors that allow it to reach the ocean in the first place. We have also had past involvement with an annual dune-planting project. Take care of your trash. Put recyclables where they belong. Be an ocean-friendly pet owner. Clean up after pets and never flush cat litter. Reduce use of fertilizer. Fertilizer washes into waterways feeding algae blooms. Join an organization committed to preserving our beaches such and Ocean Conservancy, Surfrider or Oceana, to name a few.